Contact Us: 308-633-5300 or toll-free at 877-357-2758. Email Us! At Main Street Market Wine & Spirits we have the largest selection of imported beers in Western Nebraska. Do you have questions? Don't hesitate to ask the manager, Hailee and her crew, who have all had extensive training and can advise and educate you on wines, cheeses, and cigars! Stop by and check out the store everyone is talking about. We specialize in many experience products not typically found in the Scottsbluff area. Have you ever seen a vending machine of microbrews? We have one! 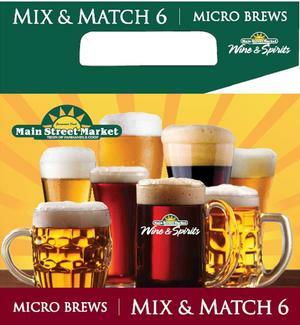 Choose from over 170 different types of single bottles of microbrew for only $2.50 each. Or try our Mix 6 Carrier. Buy six single bottles and get them for a great price of $8.99! Don’t forget to check out The Wine Cellar. We still have your favorites but we also have many new wines to choose from. It is signed by the type of wine and country of origin for easy shopping. Yes, we even have cigars! 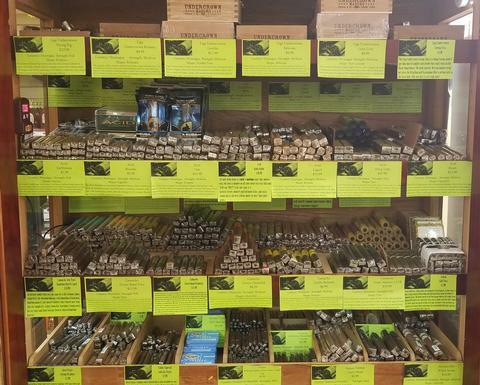 Our large selection of high-quality cigars is stored in our temperature and humidity controlled humidor. beer cooler AND wine cooler!